This Workshop aims to discuss the phenomenon of epigenetic memory. By this, we mean to include those cases where daughter cells remember the gene expression or differentiation pattern of their parental cell, even though this cannot be readily explained by the inheritance of factors that re-instruct the daughter cells like the parental cell. For example, when a somatic nucleus is transplanted to an amphibian egg the resulting blastula cells, after about 12 cell divisions, have a strong tendency to remember the gene expression of the cell-type from which they were derived, even though this is very different from their new differentiation pathway. After nuclear transfer there is no transcription and the donor cell components have been long since diluted out. Therefore, in this case, a nucleus seems to remember its origin under conditions when it is not possible to imagine that the daughter nuclei are reinstructed after each cell division by the cell components that originally directed the donor cell towards its differentiation state. There are now other examples of this phenomenon in the iPS technology. Therefore some mechanism must exist by which a parental cell can transmit its characteristics to its daughter cells in the absence of the originating instruction. An obvious explanation of this is methylation of DNA, but there are now clear examples where epigenetic memory persists in the absence of DNA methylation. 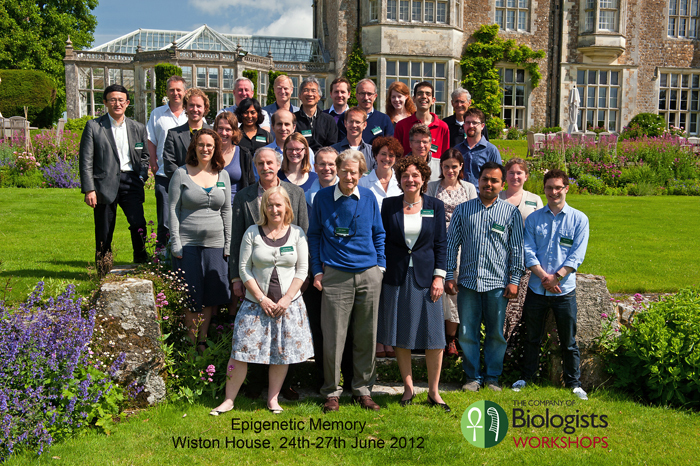 The purpose of this Workshop is to explore examples of epigenetic memory of the kind outlined.